The Internet of Things, or IOT, is a set of interlinking computer devices, digital machines, and other entities given unique identifiers and the ability to send data through a network without the need for person-to-person or person-to-machine interaction. Examples of things can be individuals with heart monitors, animals implanted with microchip locating devices, and other objects that hold IP addresses. 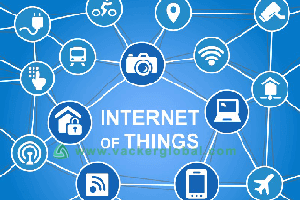 IOT has definite advantages, including its automatic collection and high transfer of information within appliances, automobiles, and other items. This makes it possible to track important data, which helps achieve maximum efficiency across various settings. IOT has led to smart homes, which offer great security and many other positive features. One of the best advantages is automation compatible with mobile devices. A homeowner can control basic items like the lights or more complicated security systems from his or her smartphone. Another positive benefit of the Internet of Things for the home is the potential energy savings. An individual can take advantage of climate control options that let him or her time heating or cooling, which saves energy and lowers monthly electric bills. From a remote location, it is possible to adjust a house's temperature so that it is at a comfortable level when arriving home. The same control can be obtained over a house's locks and lighting. While a family is on vacation, someone can turn on the lights so that burglars are deterred. If everyone has boarded the plane and realized the front door was not secured, it can be locked remotely as well. Besides safety and energy savings, IOT can bring other conveniences. For instance, a person can automatically charge smart devices on the kitchen counter without bothering with tangled wires. Also, a smart toothbrush can record how long a person cleans his or her teeth. IOT has enhanced industries by allowing new services to be created, increasing production, and offering fresh solutions to common problems. It has reached a number of areas, including the automotive field, the healthcare sector, retail settings, and manufacturing facilities. In the automotive industry, IOT has provided customers with digital experiences through "connected cars." These vehicles are 4G-enabled, which allows for car-to-mobile connection. Eventually, this is expected to expand into vehicle-to-vehicle connection and beyond. IOT offers great advancements in the healthcare field as well. It provides heightened access to low-cost quality care. It enhances remote patient monitoring and improves a person's quality of life. For example, an elderly person can wear an ultrasound sensory device so that his or her activities are monitored while living independently at home. The Internet of Things can bring benefits to the retail sector. Besides offering new products for smart homes, retail companies can remain connected to supply chains and prevent inventory shortages. Also, it is a tool that analyzes sales, Internet browsing, and store video surveillance to predict consumer behavior and trends. The manufacturing industry is set to gain the most from the Internet of Things. Manufacturers are able to obtain vital information from equipment and suppliers. After analyzing this data, a plant can maximize efficiency, maintain smooth production, and lower costs.